It is the study and practice regarding the hair and scalp. Whether it may be medicinal or cosmetic; trichologists study and deal with disorders and diseases of the hair and scalp- for example such as hair loss or psoriasis. They spend time researching the causes of them, how to diagnose & prevent, and how to treat them. Description: Trichology: The sciences relating to the structure, function, diseases and/or disorders of the human hair. Those who study trichology learn more than just to plait hair, but can learn how to unlock the secrets that are inside those tiny follicles. 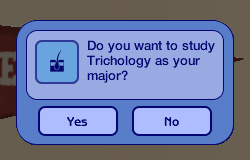 Also here’s a big thank you to Marla Biggs, a premade Sim of Sim State University for testing out my first custom major. 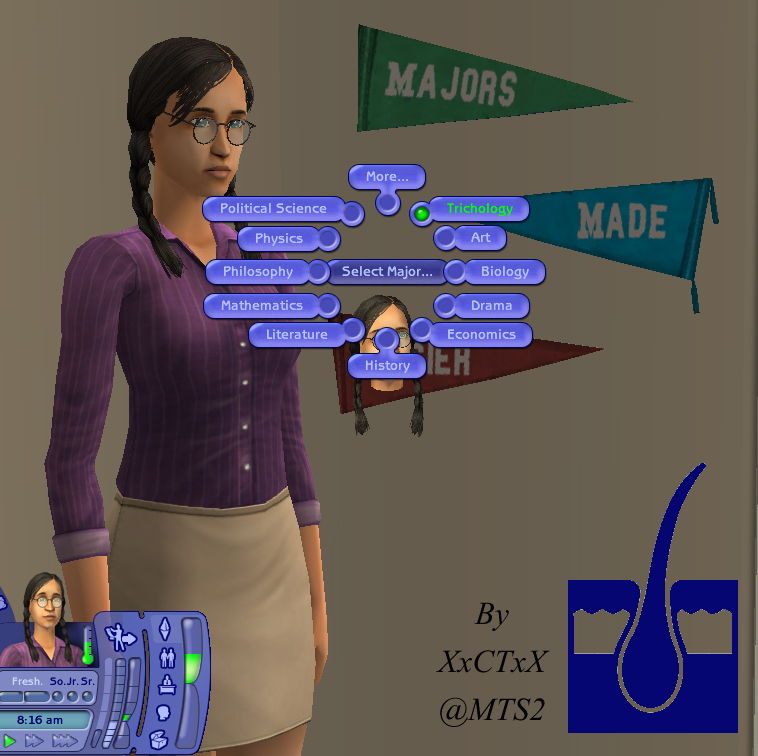 27 people have said thanks to XxCTxX for this download.